Of course, this Not Dog is named after co-founder Katie and was created to represent her love for spice! 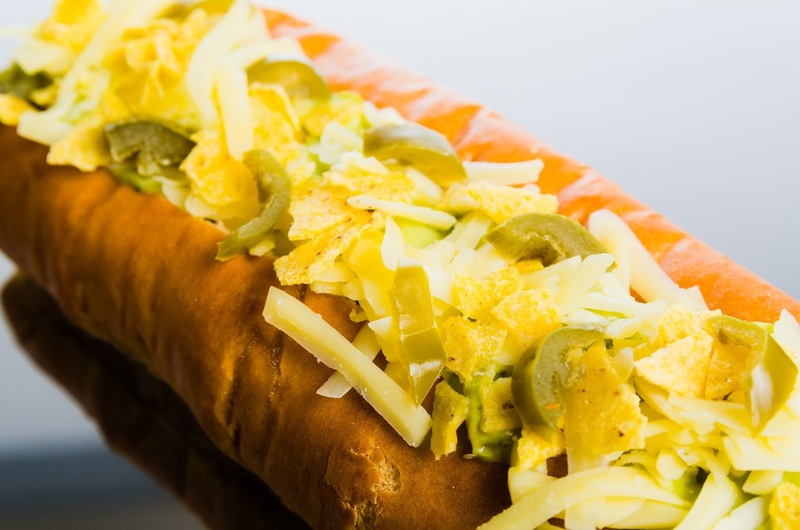 The pickled jalapeños on top of the cool guacamole, creamy cheddar and crunchy nachos are her favourite part! Whilst on holiday in Bali, on a tiny island called Gili Trawangan, we had a simple, delicious, fresh breakfast of toasted sourdough bread topped with a freshly mixed avocado salsa and feta. We knew instantly this mix of ingredients would go perfectly on a Not Dog and they did! With a touch of chilli flakes of course! Standard chips just weren't going to cut it for us so we went on the hunt for something a bit special and came up with our lightly seasoned Waffle Fries - a little homage to the Japanese recipe of Furi Furi Fries. We love to hear your recipe ideas as creating new menu items is one of our favourite things to do so please do get in touch across our social media channels at the end of this blog post!